Every baby dribbles, Parker happens to dribble a lot! At 5 months old he is just starting to teeth. He is constantly chewing his hands, has the tell tale red cheeks and dribbles like there's no tomorrow. His bibs used to soak through and his outfits would get soaked. I'd have to change his top 2/3 times a day! Not any more. 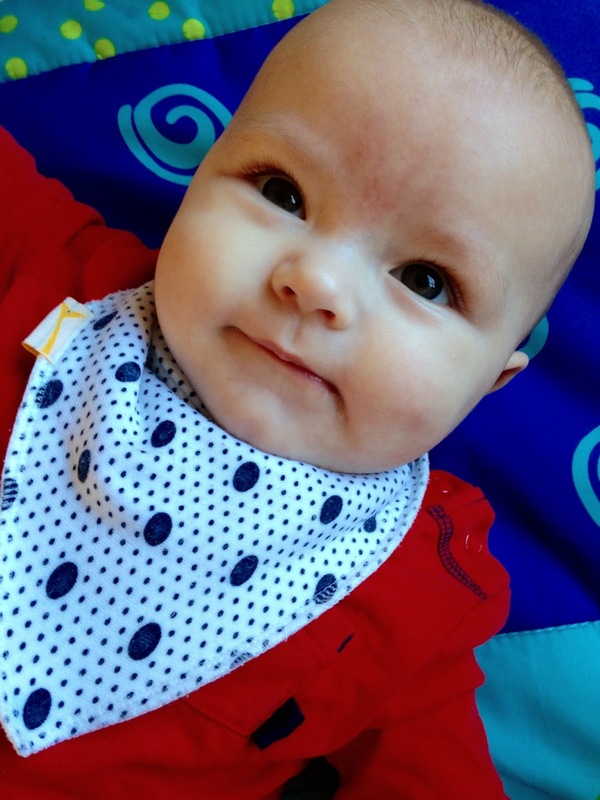 When funky giraffe bibs got in touch asking if we wanted to review some bibs I couldn't wait. Parker has loads of bibs but like I said they all soak through onto his clothes and we end up using multiple bibs a day and multiple tops. Funky Giraffe Bibs design and sell bandana bibs. They have a huge selection of bibs to pick from and also make personalised ones so you can make your child's bib that little bit more special unique. I chose the White & Blue Horizontal Stripes, Blue Guitar, Grey & Blue Stars, White Big & Little black spots, White & Blue Zig-Zag, Blue & Grey Little Stars, Blue Little Brother and a personalised blue bib with Parker James written along the side. It took me ages to pick which ones I wanted as all the designs are lovely. There really will be something that everyone likes. The website is also really clear and easy to use. All the bibs arrived quickly and well packaged. I couldn't wait to see what they looked like. The bibs are really well made and look so cute! You could have one to match every outfit if you wanted. The bibs fit really well. There are two poppers on each side allowing the bibs to grow with your child so they last longer. One thing I have noticed is that the tips and edges of the bib tend to roll up. I'm not sure if you are meant to iron them but personally I'm not going to iron bibs! They all wash at 30c and it's nice to just be able to chuck them in. I don't have to hand wash them which is amazing and makes them so easy to clean. 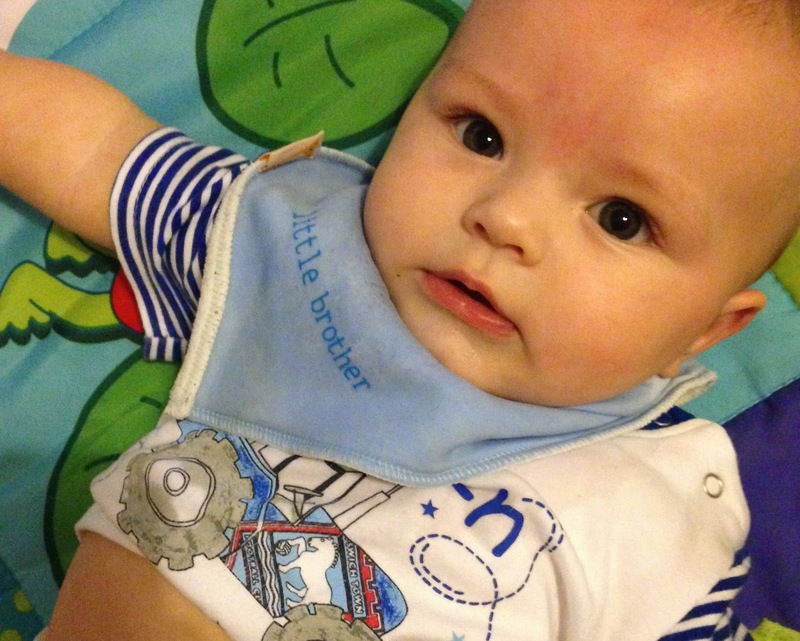 These bibs are by far the most absorbent bibs we have used. The front can be soaking wet but the back is lovely and dry meaning clothes stay dry. I do normally change his bib half way through the way as they do get soaking but it's only the bib I change rather than the whole top half of his body like I used to. I would defiantly recommend funky giraffe bibs to everyone that asked and I am actually eyeing up a few other designs. Have you tried funky giraffe bibs? *Disclaimer - I was sent the above products to review but all views and opinions are my own*..